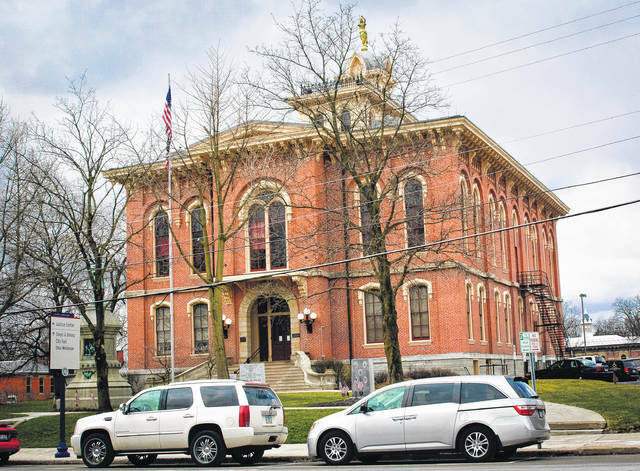 The Delaware County Board of Commissioners approved the first step in the renovation of the historical courthouse at the corner of Sandusky Street and Central Avenue Thursday by approving a contract with Schooley Caldwell for architectural and design work. “They’ll come in first to do the physical assessment of the building, verify the program needs for what is planned to go in, and do the conceptual design,” said Jon Melvin, the county’s director of facilities. As part of the county’s master plan, the historic courthouse would house the commissioners’ office, human resources department, economic development department and Veterans Service Commission. Commissioners voted to accept the facilities master plan during a regular session in October 2017. Melvin said the master plan is a “broad look” due to expanding the renovation to include the county law library and the Fifth District Court of Appeals that are currently housed in the historic jail. Commissioners authorized Melvin on Feb. 26 to publish a legal notice to sell the historic jail and former sheriff’s residence located behind the historic courthouse at 20 W. Central Ave.
Melvin said Schooley Caldwell’s timeline on the project is to have conceptual designs done by June, construction documents completed by October, and the project out to bid in November. Construction is expected to start in January 2019. Melvin said Schooley Caldwell anticipates it will take nine months to complete the construction once started. In an earlier report, Melvin said the estimated completion date for the project would be somewhere in early 2019. This entry was tagged Benton, Courthouse, D. Anthony Botkin, Delaware County Ohio, Historical, Lewis, Merrell, Schooley Caldwell. Bookmark the permalink.